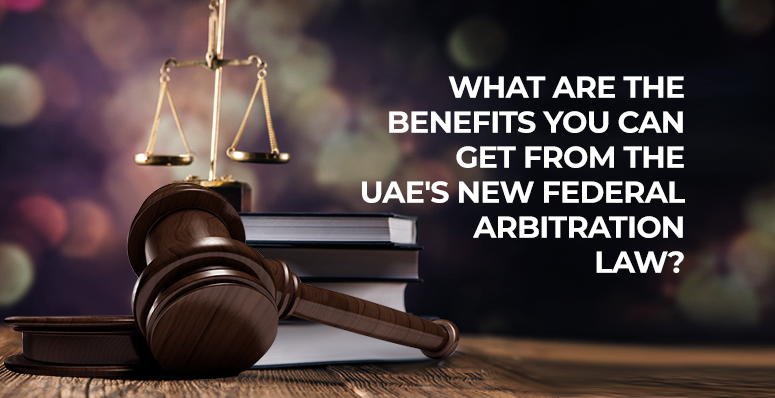 Benefits You Can Get From the UAE’s New Federal Arbitration Law? Arbitration is the process by which two parties in dispute resolve the issues with the help of a third party like an individual or a group, without taking matters to court. The third party who provides the verdict are called arbitrators. Laws on arbitration governs the parameters in which arbitration takes place. UAE issued a new law concerning arbitration which is known as Federal Arbitration Law of UAE. This Law was implemented on May 3, 2018. This new law, containing 61 articles, was issued as a replacement for the previous arbitration law of UAE, ergo; the new laws will replace the Articles 203 to 218 of the UAE Civil Procedure Code (CPC). The new law addresses the shortcomings of the previous rules, that led to many suspecting the efficacy of the previous law. It took the effect of one month after it was issued in May. The Federal arbitration laws aims to develop the UAE as a towering presence in matters of international arbitration. For achieving this feat, the new arbitration laws in UAE is based on the UNCITRAL model law on Internal Commercial Arbitration. The new set of laws is a great way for UAE to be one of the countries who participate in resolving international matters. The introduction of international arbitration laws, which are in line with the UNCITRAL Model Law. The new arbitration law in UAE draws a clear distinction between arbitration conducted internationally and domestically. Therefore, the new laws are applicable to both international and domestic arbitrations. In essence, the new arbitration law is a welcoming change and most definitely a milestone for the UAE. With this new change, UAE will be able to position itself among the to-go places for international arbitration. It will also bring more structure to the domestic arbitration laws. One of the best reformations is the decreased downtime in getting things done. This new change will positively show UAE as an investor-friendly country and bring in more foreign business. You can also consult with legal advocates in Dubai, UAE to have a clear idea about the benefits of UAE’s new Federal Arbitration Law.